Correct reproduction of the spare tire anchor "J" hook. Correct reproduction of the spare tire anchor wing nut. Correct reproduction of the spare tire anchor plate that is welded to the trunk floor pan that sats as a clamp by holding the spare tire hold down rod in place after the nut is tightened. Reproduction of the spare tire anchor "J" hook and wing nut. Reproduction of the trunk lid catch for all 1967-69 Camaro models. Replace your broken or missing trunk lid catch with this quality reproduction. The trunk lid catch mounts to trunk lid which the latch hooks into. 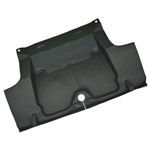 Reproduction of the original floor pan plug for use with floor pans and truck pans. Reproduction of the original trunk lock retainer for use on all 1967-68 Camaro and Firebird models. Reproduction of the original trunk lock retainer for use on all 1969 Camaro and Firebird models. Reproduction of the upper jack bracket for use on all 1970-73 Camaro models. Reproduction of the trunk lid latch. Installs in the trunk latch support. Quality steel replace for the tail panel brace and trunk latch support for all 1969 Camaro and Firebird models. Mounts between the trunk floor and tail panel. This quality stamped steel piece acts as a brace for the tail panel and mount for the trunk latch assembly. Quality steel replace for the tail panel brace and trunk latch support for all 1967-68 Camaro and Firebird models. Mounts between the trunk floor and tail panel. This quality stamped steel piece acts as a brace for the tail panel and mount for the trunk latch assembly. Reproduction trunk drop off side panels for all 1967-68 Camaro and Firebird models and are exact reproductions of the original panels. These panels are located where the trunk pan meets the lower rear quarter panel. Reproduction trunk drop off side panels for all 1969 Camaro and Firebird models and are exact reproductions of the original panels. These panels are located where the trunk pan meets the lower rear quarter panel. Reproduction trunk drop off side panels for all 1969 Camaro and Firebirdmodels and are exact reproductions of the original panels. These panels are located where the trunk pan meets the lower rear quarter panel. Accurate reproductions of original gutter edge molding for all 1967-69 Camaro and Firebird models to finish out both quarters, allowing the installation of trunk weatherstrip. 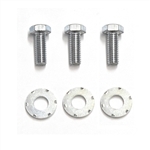 Needed on all reproduction full quarters and 80% quarters or for repair on rusted originals. The uniform edge on these panels gives the trunk a correct factory look. Quality steel replace for the tail panel brace and trunk latch support for all 1970-73 Camaro and Firebird models. Mounts between the trunk floor and tail panel. This quality stamped steel piece acts as a brace for the tail panel and mount for the trunk latch assembly. Correct reproduction trunk floor reinforcement for all 1969 Camaro and Firebird models. They were originally welded under the center trunk pan to add support and gas tank straps are attached to these reinforcements which holds the fuel tank in place. LH and RH required per vehicle. Metal braces that mount underneath the rear package shelf. Reproductions of the original rear shock tower support panels for all 1968-69 Camaro and Firebird models. This weld-in panel mounts between the frame rails and the trunk pan.